Wind: 5-10 kts out of the N.
Temperature: in the 60s at maximum. Comment: We operated out of New Coalinga due to the recent muddy field conditions at Avenal. 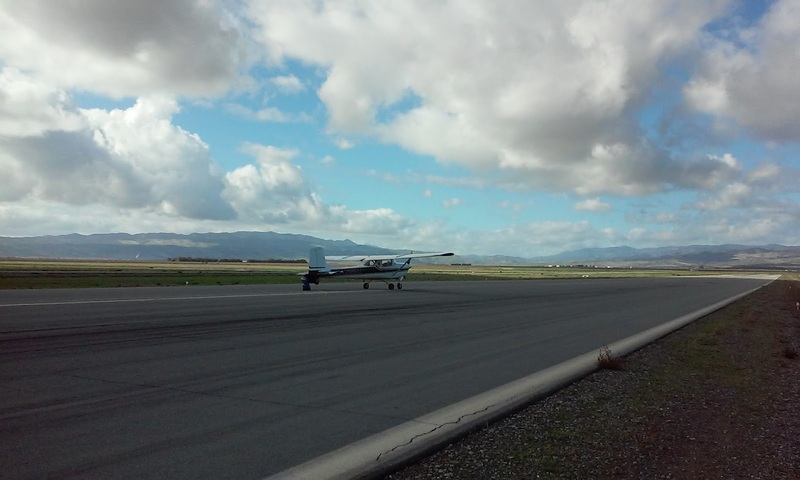 Due to the more frequent rains and muddy field conditions limiting our operations this winter, it was decided to move our Saturday operations temporarily to New Coalinga Airport. We had a good turn out Saturday, with several of the Cal Poly Students, known as "Akafliegers", showing up. Among them were Jennifer Bauman, Troy Wollman, Neiman Walker, Jesse McClintock and Andrew Palmer. They all flew with Harold Gallagher. Sergio Grajeda from Avenal also came out and flew with Alex Caldwell. Also there were stalwarts Jim Rickey, Morgan Hall, Martin Caskey and Dennis Lyons. The wind all day was from about 30 deg. magnetic, which resulted in an almost exact 90 deg. 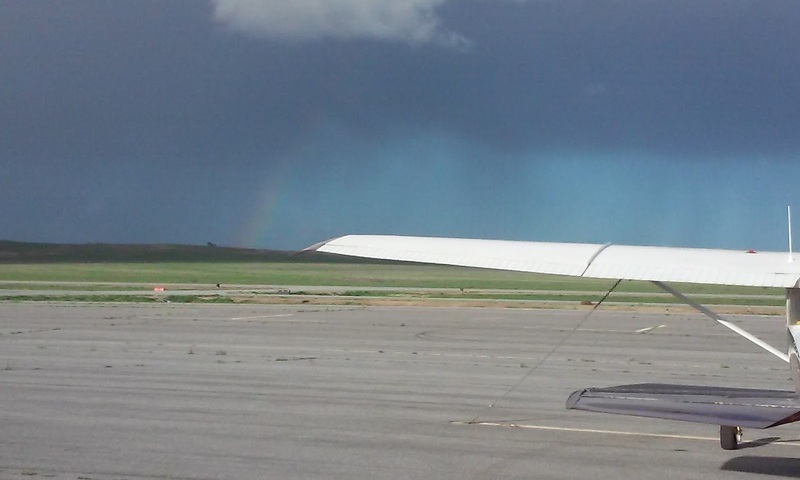 cross wind on either runway 30 or 12, a condition that is fairly common at New Coalinga. 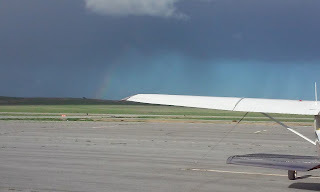 At first, it looked like it was windy enough to make operating on runway 1 more favorable, due to it's being aligned better with the wind direction. 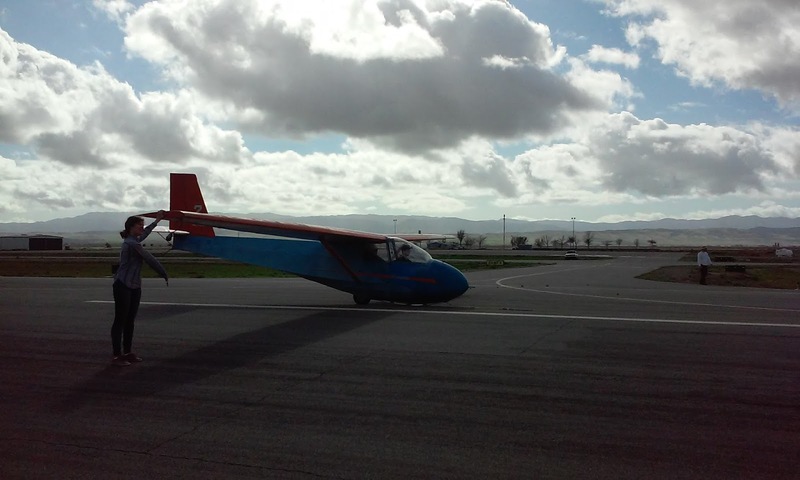 We did one cross wind take off on runway 30 and landed on runway 1. 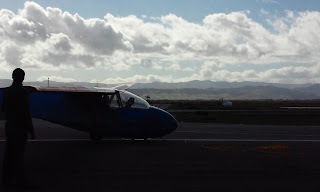 After one flight from runway 1, it appeared that the wind was decreasing and was only about 5-10 kts, so we moved back to runway 30, and ended up operating from the midfield taxiway the rest of the day. The wind did not change much in strength or direction the whole rest of the afternoon. On one flight, there was a "for real" rope break. It happened that Nieman Walker was recording a video of his flight and recorded the incident. The Cal Poly Akaqflieg students, including Luke Bughman, Griff Malloy, Beth Hotchkiss and Kyle O' Connell, came out the next Saturday, Jan 30. Using the video to determine the probable location of the rope, they were able to do a search and retrieved it from a pasture. Interestingly, the rope broke near the tow plane end. We realized this when the tow plane returned to land with only about 10 ft. of rope attached. The ropes tend to wear more near the glider end, but if the ends get swapped, the more worn section can also end up on the tow plane end. 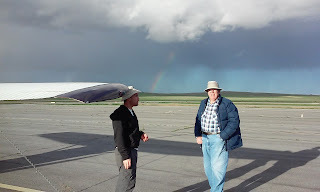 With the large amount of rope hanging off the glider, the drag caused it to "back release" quickly after the rope break without the glider pilot pulling the release, which is the designed in behavior that occurred here. Video of the "exciting" rope break incident. It appears that the rope just broke while the glider was in a normal tow position rather than from being jerked. Jennifer runs the wing on the 2-33. 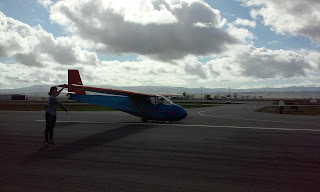 Tow plane readying for another take off on runway 30. Jennifer piloting the 2-33 with Harold. Bart's RASP had predicted some rain later in the afternoon, which arrived about on schedule, but was a bit to the NE of us. It produced a nice rainbow. Our operation had been cut a bit short as the skid on the 2-33 had worn through, so we decided it was time to shut down the operation and replace it for next week. Actually, through fast work on the part of Jim Rickey and Morgan Hall, a replacement skid was in place by late on Saturday and the glider was ready to fly on Sunday Jan. 24. Jim and Morgan winding down talking about the day's activities as the rain approaches behind what looks like a small "roll cloud". There was some vertical development to the clouds late in the afternoon to the extent of "towering cumulus", but no severe weather developed, such as CB's, with hail, microbursts etc. But we were wary, as the NWS had a warning out about possible thunderstorms that afternoon. The area just North of Coalinga over the San Benitos will often generate a thunderstorm if they do happen to occur in this area.